Portfolio for JIRA allows estimation and forecasting to be performed using story points in addition to time. Since estimating in story points is done by team, configuration involves setting a velocity for each team in your plan. Teams that do not have a velocity selected will be automatically set to the default. Story points are inherently focused on scheduling and planning on a team basis. This means that adding team members is optional since planning can be accomplished by simply creating teams and setting their velocities. 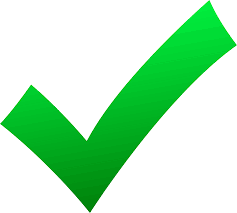 See Synchronization settings for information on how to setup your plan and project(s) for syncing and Publish updates to linked projects for instructions on how to update your plan and projects. In the Estimation Statistic field, choose story points. See Plan Templates for more information on how to set up a plan. Scrum methodology suggests that when you plan with story points that you should focus capacity planning on the velocity of the complete sprint. This means that determining the velocity of individual team members is not required because the velocity of the team as a whole specifies the number of story points that can be scheduled into each sprint. Planning at the team level works well if the team is stable and has a predictable velocity. 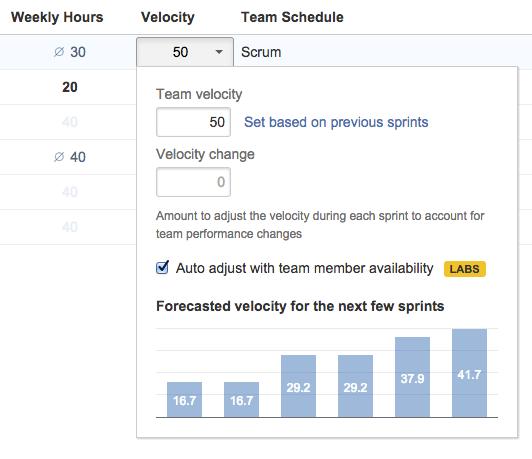 You can set a velocity as a fixed number or based on a team's previous sprints. The default velocity is what is set if you don't specify a velocity for each team. We highly recommended that you customize the velocity for each team since velocity is a very team specific metric. Click more ( ) next to the plan name > Configure. Enter a numeric value for the default team velocity in the Default velocity field. Select People from the top navigation bar. Select and enter a velocity value for the team in the Velocity field. 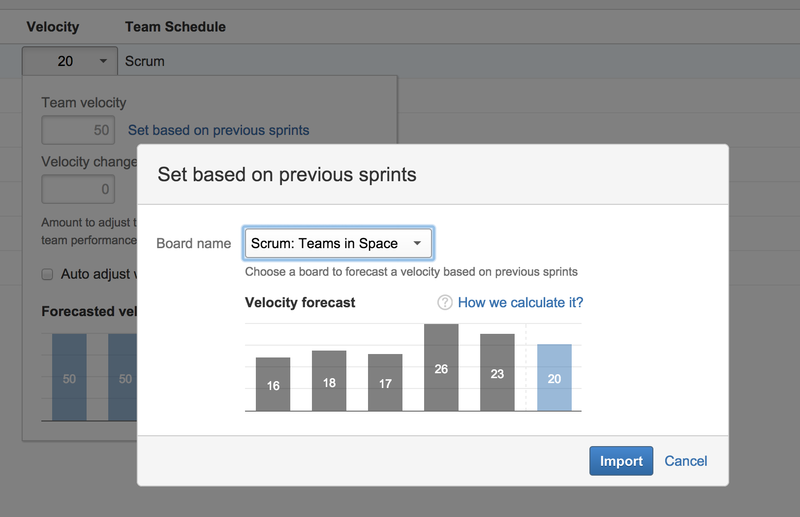 In addition to entering a fixed value for the team's velocity, if your plan is synced with a JIRA Software project(s), you can obtain an average of the previous 5 sprints for that team and use that value as the team's velocity. 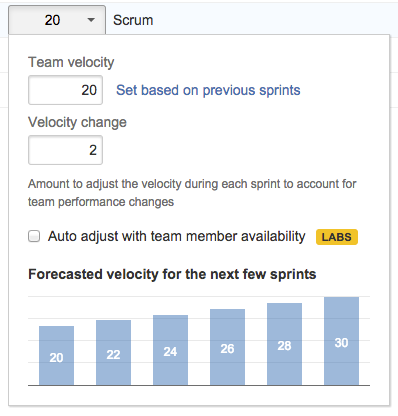 In the velocity drop-down menu, select Set based on previous sprints. Select a board from the list to display a list of (up to) previous 5 sprints and the recommended velocity based on the average of those sprints. The amount of work a team can accomplish will change over time. By working together and completing sprints, a team's velocity will ideally increase over time. Portfolio for JIRA gives you the ability to set a value to adjust the team's velocity in subsequent sprints. For instance, you may set your team's velocity to 20. You may also assume that over time your team will be able to complete 2 additional story points per sprint. Entering the value '2' in the 'Velocity change' field will increase the velocity of that team by 2 after each sprint. In the velocity drop-down menu, enter a figure in the Velocity change field. The adjusted forecasted velocity in future sprints will be displayed in the bar graph. If you want to account for individual team members varying availability (vacations, onboarding time, and others),Portfolio for JIRA supports modeling individual team members and adjusts the team velocity based on their availability. 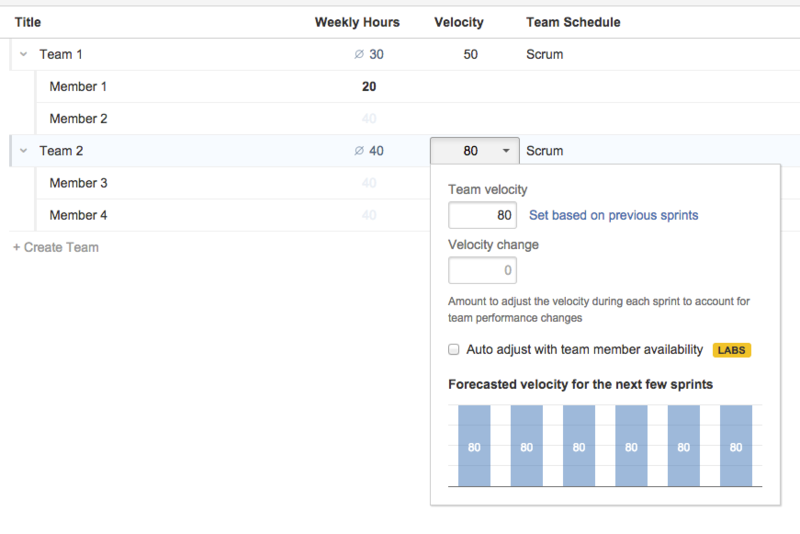 You can adjust upcoming velocity based on the availability of team members. When this option is selected, Portfolio for JIRA will calculate the impact on the team velocity for any limited presence, absences, or weekly hours set in the team member's detailed dialog. The adjusted forecasted velocity for future sprints is displayed in the bar graph. Portfolio for JIRA makes the assumption that every resource (team member) contributes equally to the total team velocity. Team A has three team members and velocity of 100 points with one team member working half time. Meredith works full time, so we assumes she contributes 40 pts per sprint, her vacation reduces the velocity accordingly. You can still use stages and skills when using story points. Again, the capacity that can be scheduled for a particular stage or skill into a sprint is computed relative to the member's default weekly hours. Team A has 3 members and a velocity of 60 story points. With the assumption that everyone contributes equally to the team velocity, Portfolio for JIRA can determine the available capacity to schedule design and implementation work. In this example, during the sprint, design would be worked on until 20 points were completed. This would be followed by implementation being carried out for a maximum of 40 points. In this scenario the team has 3 members and velocity is 100 story points. In this case, Olivia's hours for the sprint are limited to half time (20hrs a week). This means that her contribution to the relative velocity is halved. Select the velocity field for the team with the new member and enter the velocity of the new target value (this would be the velocity of the entire team, with all members contributing at 100%). Check Auto adjust with team member availability to set the velocity to compensate for the new team member. Add the new team member (if you haven't already, see Adding and configuring teams. In the 'Availability in Team field', select Add exceptions. Enter the timeframe and weekly hours for that time frame that you anticipate the new employee will be able to contribute. Repeat this process until you reach normal working hours for a week (ex: 40h). Select X to close the details dialog. Return to the velocity drop-down for that team to see the impact the new employee onboarding has on the team velocity. Ideally, on average, everyone on a team contributes equally to the velocity. However, you may want to account for the fact that some individuals contribute more and that their absence would reduce the velocity in a higher proportion. 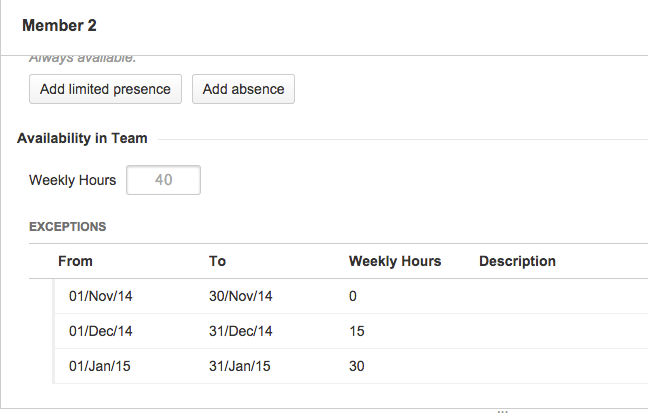 In this instance, you can adjust the default weekly hours for the team members to account for this difference.